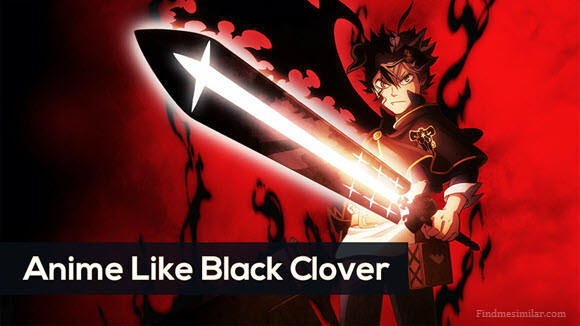 13 Anime Like Black Clover '+g+"
Black Clover is an action adventure shounen that follows Asta and Yuno two friends grown in an orphan and both aiming to become Wizard King a title given to the strongest Mage in the kingdom. However Asta does not possess any magic at all in a place where magic is every thing where as Yuno is blessed with abundant magic and amazing control. At the age of fifteen Yuno received the four leaf clover grimore, a rare magic books that boosts the holders magic power and Asta receives a unique five leaf clover grimore, a "Black Clover" which can negate and repel magic. Now both of them start their journey to realize their dream of becoming the Wizard King. The Anime has all the themes that are needed for a popular shounen such as heavy action, adventure, friendships, rivalries, underdog hero, super powers, magic, comedy, you name it and you'll have it here. If you enjoyed the Black Clover series then this list of similar anime like Black Clover is for you. These recommendations are based on my personal opinion and if you feel that there is any anime similar to Black Clover that we might have missed please make sure to mention them in the comments below so that we may update our list.